Nail polish AND chocolate? A big fat (no pun intended) yes for me. 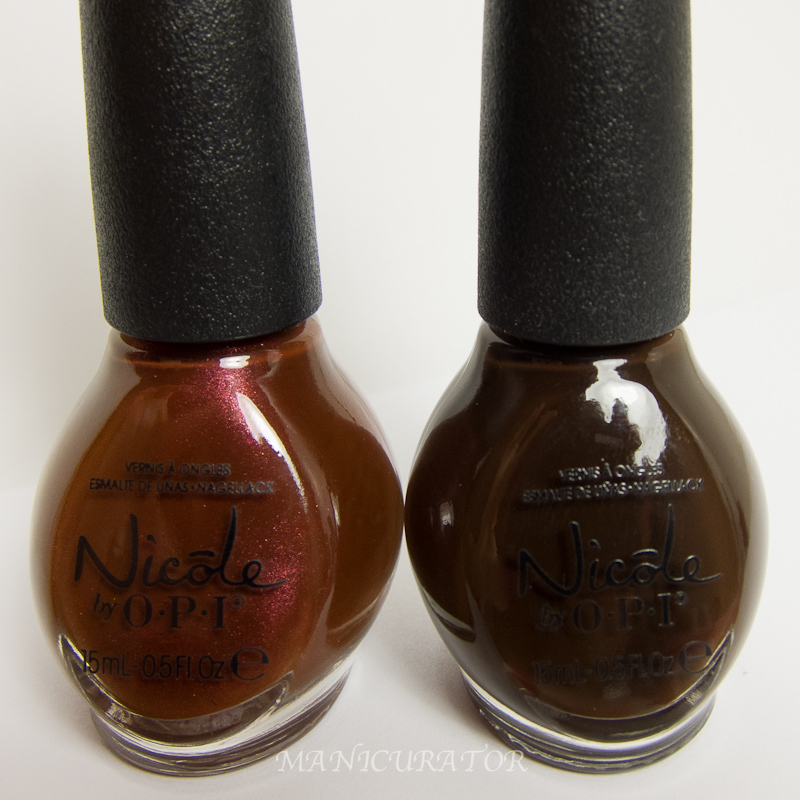 I received these two chocolate inspired shades by Nicole by OPI to review plus two bags of Dove chocolates. I'm terribly sorry I don't have photos of the chocolates to show you. But that is just evidence of how really very good they are! I could not stop eating them. My 4 year old boys were in heaven every time I said yes, they could have another. (They asked every day until they were gone!) So if you are wondering if you want to enter this sweepstakes, or run out and pick up these chocolates...I say you will not be disappointed. I'm going to give you the details from the official press release..then the yummy (pun intended) swatches. 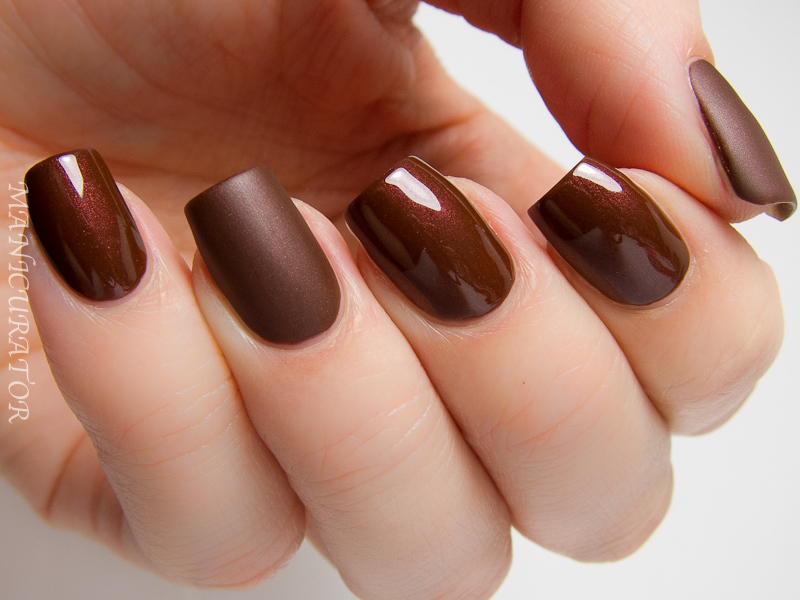 Nicole by OPI Better After Dark - gorgeous warm brown with visible pink shimmer. Great formula, two easy coats here. You can see, I used Nicole by OPI matte top coat on ring finger and thumb. The matte top coat really changes the appearance of this one, right? I like it both ways but the shimmer is much more apparent in the glossy version. 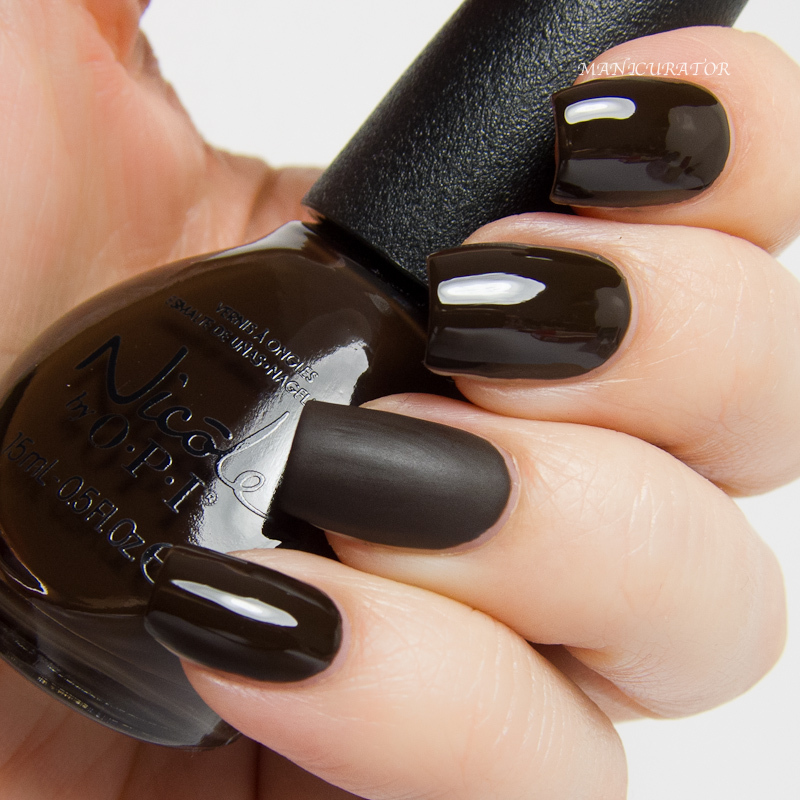 Nicole by OPI Promises in the Dark - a dark chocolate brown. Another great formula, no issues, this is two easy coats. I really didn't want to take this one off. 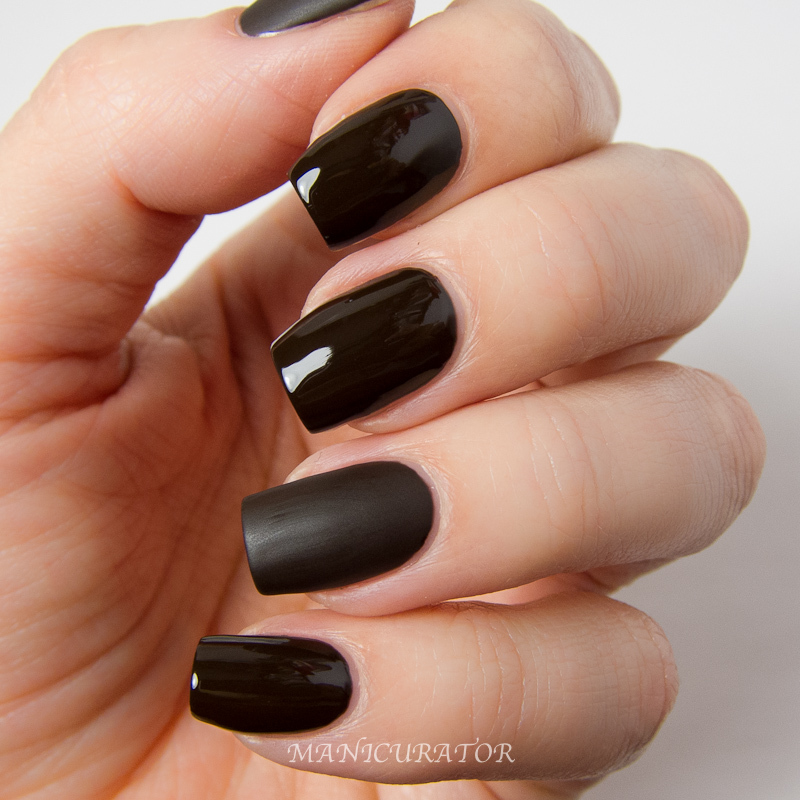 I've really been craving matte nails lately. Loving how this one looks matte too. Have you got a favorite of these two? 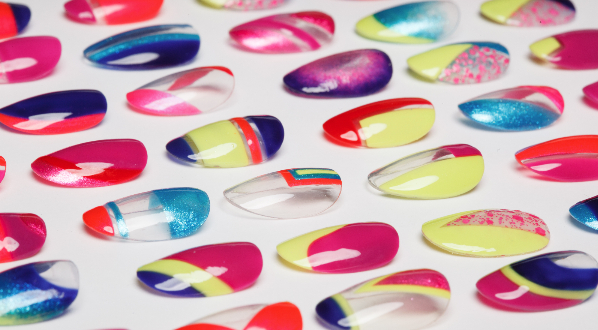 Do you prefer glossy or matte? All swatches were done with the new Nicole by OPI 3-in-1 Base, Top Coat & Strengthener, Quick Dry Top Coat; and Matte Top Coat on ring finger and thumb. to enter to win these and some Dove chocolate! Good luck! Love better after Dark - gorgeous! I've always been a shiny glossy girl, but the mattes are growing on me and I do like them for an accent nail as you have done. 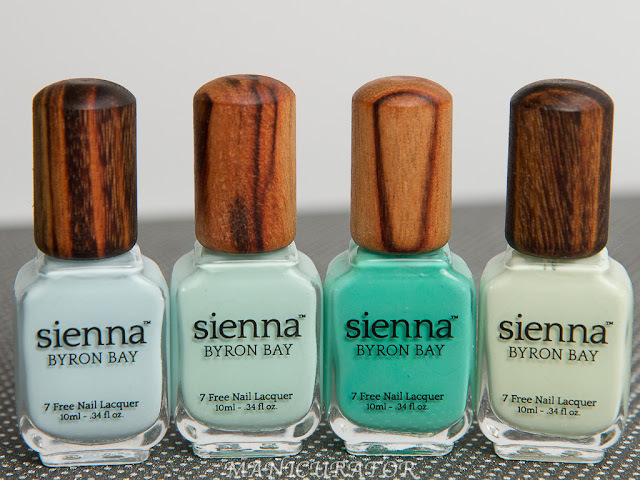 I am hoping to win these beautiful polishes. I love your idea for a matte accent nail! Looks great! Better After Dark is so pretty! The shimmer totally makes it. 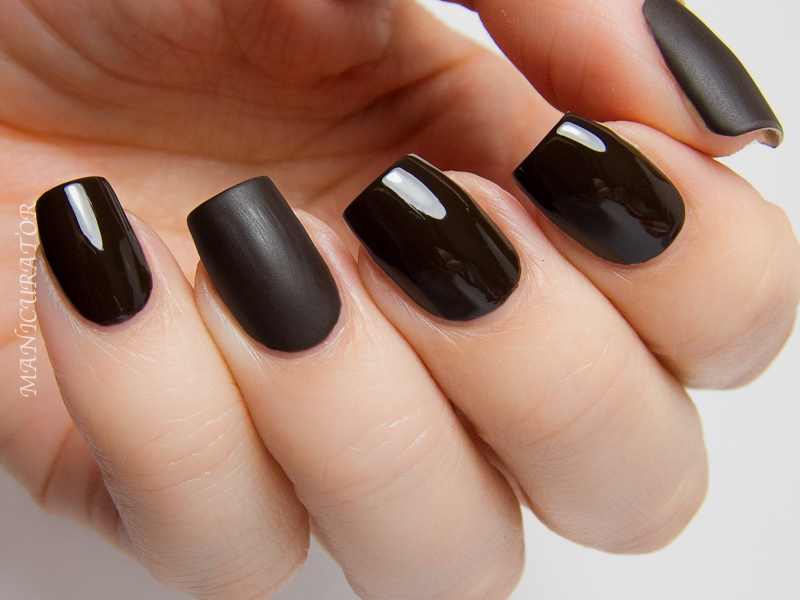 omg I LOVE that you put matte top coat over these! !